Rent HTC Vive Rent the Hire HTC Vive VR headset when it comes to games! Thanks to the collaboration with game developer Valve and their platform SteamVR, new games for the HTC Vive are constantly being launched. By using room scale tracking technology, the user can move freely in a 3D space of up to 12 square meters and use the 360 ° motion-tracking handheld controllers. Thanks to the built-in Chaperone system, you will be warned if you cross the boundary line, or (almost) hit a wall. This allows you to spend hours carefree in a virtual world. The comfortable and customizable headband also helps with this. To use the HTV Vive you need a powerful PC or laptop. You can rent the HTC Vive in combination with one of our MSI Gaming Laptops with which you can explore the possibilities of the HTC Vive. 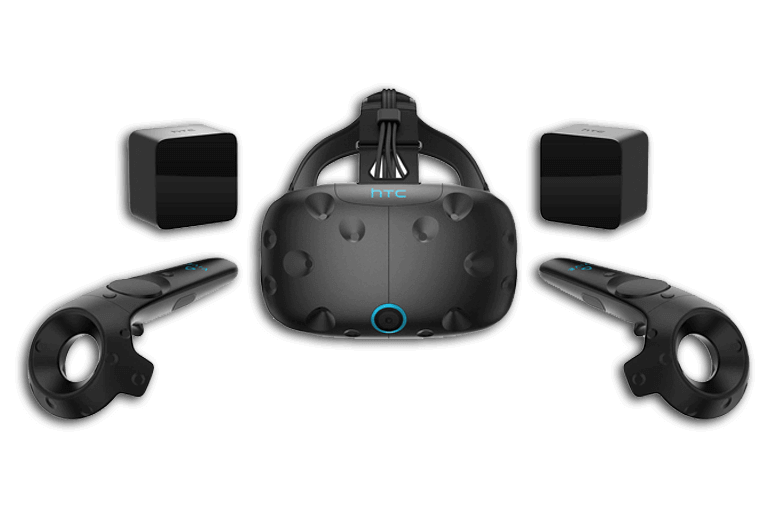 Renting the HTC Vive is the ideal option for an exhibition, event or training. Present your new game, app, or place your employees in a VR situation in order to make a training as realistic as possible. Flex IT Rent has a large number of HTC Vive and other VR headsets. If you want to rent large numbers, we can be of help. Request a quotation without obligation and we offer you the lowest price guaranteed!